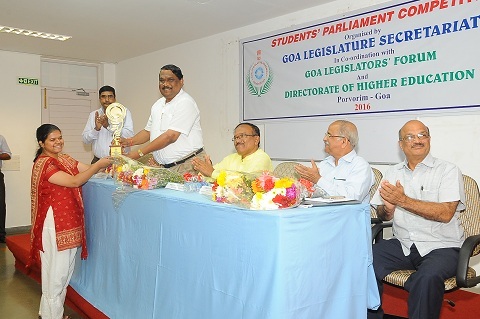 Cecilia Jane D’Silva from Chandor was adjudged the best Parliamentarian at the Students’ Parliament Competition organized by the Goa Legislature Secretariat in co-ordination with Goa Legislature Secretariat and Directorate of Higher Education recently. A student of Don Bosco’s College of Engineering, Fatorda she won this award because of the clarity of her thoughts, the presentation of her ideas and the decorum she maintained of the house in session. The competition had 29 colleges participating with 20 to 30 participants and amidst all of them she was adjudged to be the best parliamentarian. Although the college stood fourth in the contest it was indeed a matter of pride that their student won the best parliamentarian award. 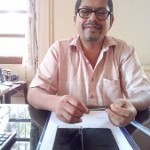 Incidentally Cecilia is a life member of Ganv Bhavancho Ekvott.